Daenerys – Mother of Dragons Costume « Adafruit Industries – Makers, hackers, artists, designers and engineers! I wanted to bring my own artist interpretation to the character such as her Qarth style gowns that’s she wears and her 3 headed dragon crown. I really wanted to bring in my own unique approach with the character. I made her crown wrought in the shape of a three-headed dragon. The coils are yellow gold, the heads carved from jade, ivory, and onyx. I tried my best to create this image. 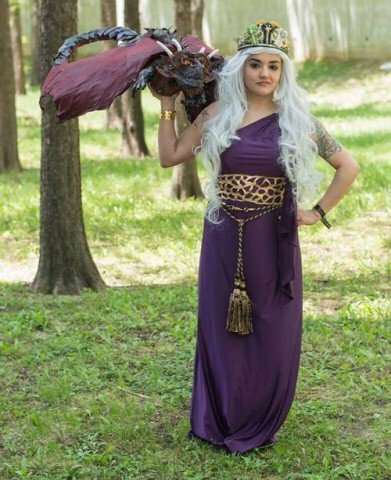 I made the whole costume, plus I couldn’t be a mother of dragons without my very own dragon! Drogon is described as her favorite, so I decided to make him! I made the dragon’s head with air dry clay, coated in resin, body with foam, Worbla scraps, and textured fabric for the wings! I carved out the body form from styrofoam which you can’t really see right now. I added the wings this evening. I used floral wiring to attach them through the center of the body. I just wanted to give you guys an idea of how big I wanted him. 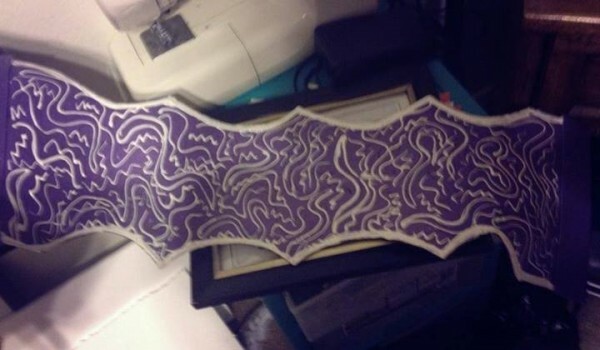 To get the gold pattern, she cut out a piece of craft foam in the desired shape of the belt. She used puff paint to outline random patterns on the the back. Once it dried, she used Plasti Dip to capture the patterns and painted the finished piece gold. 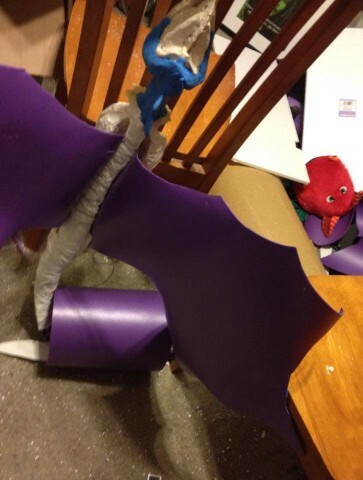 See more photos of the making of the dragon and the crafting of the costume.